The Celiac Disease and Gluten-Free Diet Digital Resource Center is an app designed and maintained by the Celiac Disease Program at Children’s National Health System to provide a cohesive set of high-quality educational materials to patients and families living with celiac disease or a gluten-related condition. 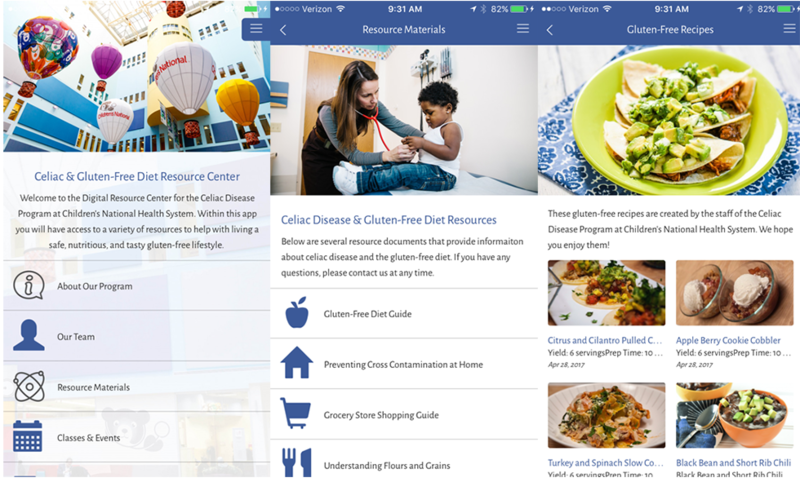 The materials found within the app are developed and maintained by the staff of the Celiac Disease Program at Children’s National. Questions about the App? Please contact us.